Coasters to cushion covers, Masala Popsicles does colourful and kitschy decor and accessories. Working entirely on a made to order system, this brand does all kinds of products from earring stands and stationery holders to photo frames and customised tin boxes. 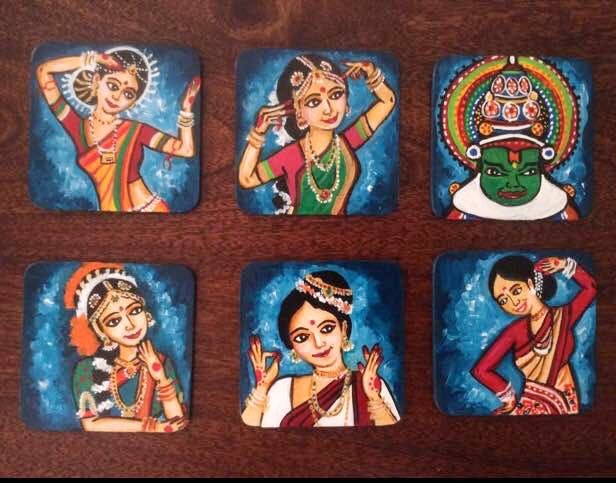 Specialising in caricatures and faces, Masala Popsicles does a great series of customised cushion covers, coasters and nameplates that you can get with your face painted on them. Prices depend on the products and customisations but start at INR 200. Masala Popsicles doesn't have a store as of now so you'll have to browse through their stuff online on their Facebook page. Make sure you check out their quirky range of jewellery too, especially their statement rings. The brainchild of artist and interior designer Sandhya Vaidyanathan, every piece is painstakingly handcrafted and can be customised to your liking.